A fascinating multi-layered country with a rich cultural heritage; among the most hospitable people on earth and a very safe country open to foreigners, Iran is grossly misrepresented in the media. 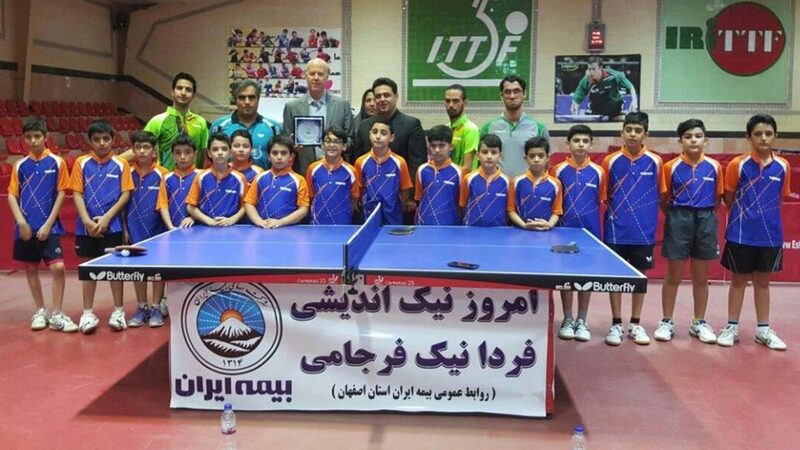 Similarly the table tennis community is extremely advanced under the strong leadership of President Mehrdad Aligardashi and Secretary-General Mahmood Nazori, with excellent structures in place countrywide including televised Men’s and Women’s National Leagues, televised Men’s and Women’s National Tours, most coaches being former national team players with PHDs and a well-established talent identification programme. Adopting the ITTF Coach Accreditation system is one of the next steps and the purpose of this visit. 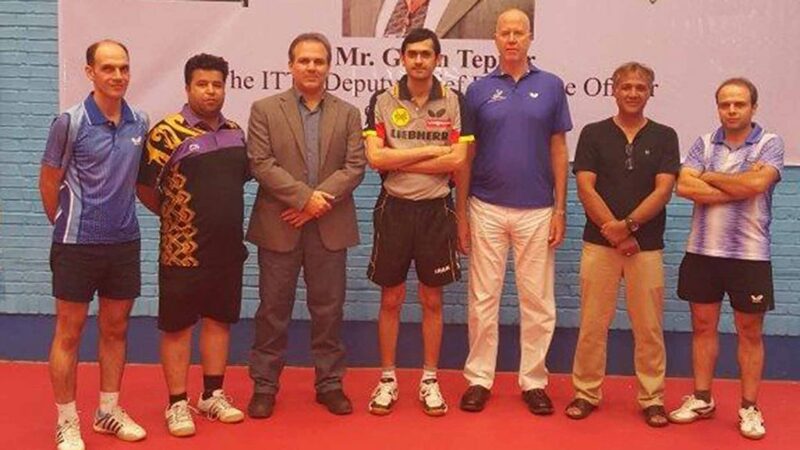 Personally I was in Iran to assist with the ITTF/PTT Level One Course Conductor training, which was the culmination of an Olympic Solidarity Course led by Sweden’s Christian Lillieroos which included ITTF/PTT Level One, ITTF/PTT Level One Course Conductor Training and ITTF Level Two Coach Education. While in Iran I planned to take advantage of the visit to have a few days holiday in the UNESCO listed cities of Shiraz-Persopolis and Esfahan; while I visited many interesting cultural sights, the rich table tennis culture brought me back to a multitude of table tennis related activities. Christian Lillieroos led the challenging Olympic Solidarity Technical Course which included ITTF/PTT Level One, ITTF/PTT Level One Course Conductor Training and ITTF Level Two Coach Education with the vast majority of the participants holding sports related PHDs with challenging questions and high level debate the norm. I joined the course for the ITTF-PTT Level One Course Conductor Training. 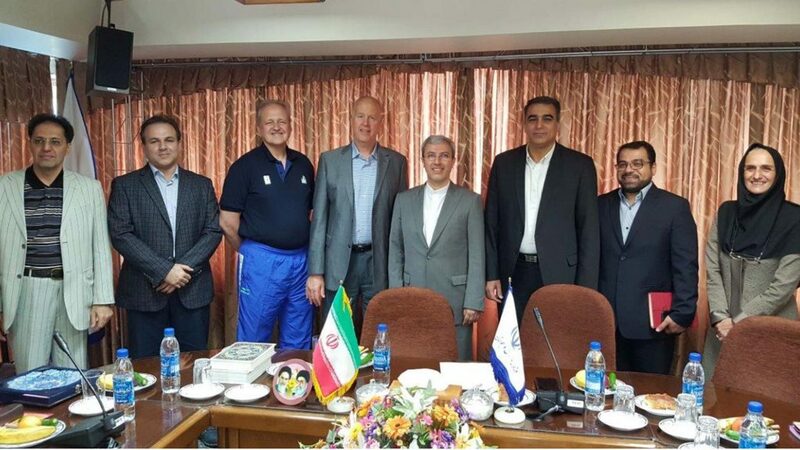 Meetings were held with Dr. Afshin Molaei, Educational Deputy of Iran Sport and Youths Ministry , and Iran TTF President Mehrdad Aligardashi. Dynamic Iran Table Tennis Federation Education and Training Director, ITTF Equipment Committee member and Fars Province President, Peyman Abolhassani led proceedings in Shiraz which included a presentation of ITTF structures and opportunities for administrators, coaches and players during a training session at the 11 table centre in Shiraz. Peyman Abolhassani has plans for expansion of the venue with the aim to host international events and camps once realised. 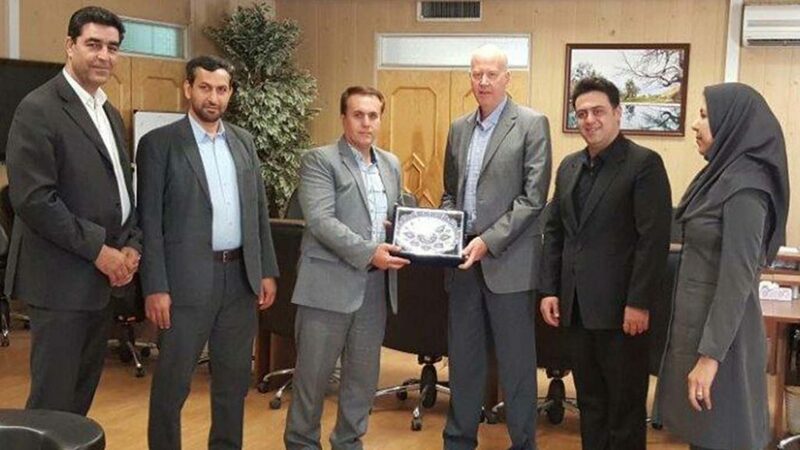 Isfahan Province is led by business dynamo Mehdi Takabi, a well-connected business man who has head-hunted among others the Esfahan Mayor, Provincial Head of Police, a Hotel Owner and an Airport Manager to be part of his board in a clever move for this dynamic leader. He has big plans for his venue which will soon be renovated to international standards with the potential to host ITTF Junior Circuits and similar events. 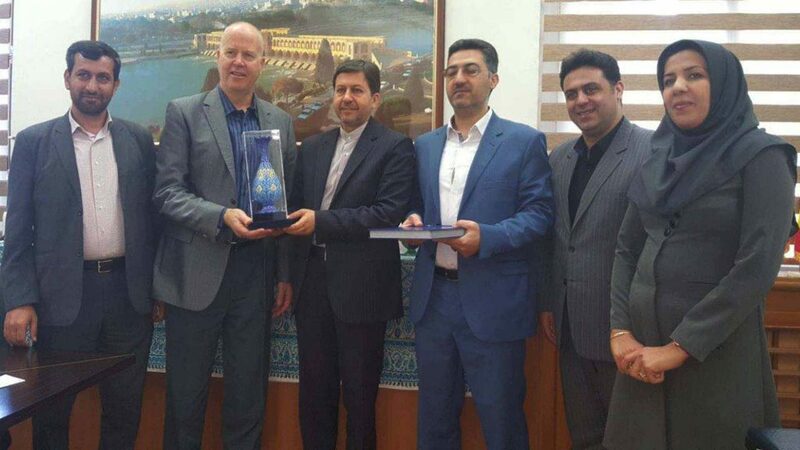 Takabi has worked closely with Esfahan Mayor Dr. Jamalnejad regarding World Table Tennis Day held over three consecutive years at the UNESCO listed Khaju Bridge with over three thousand participants in 2017. During a meeting with Dr. Jamalnejad the possibility of Esfahan hosting the 2018 World Table Tennis Day Launch at the world famous UNESCO listed Meidan Emam Square was put on the table. This would be huge win-win for ITTF, Iran and Esfahan. National Hopes Week for Boys was also held is Esfahan during the visit. 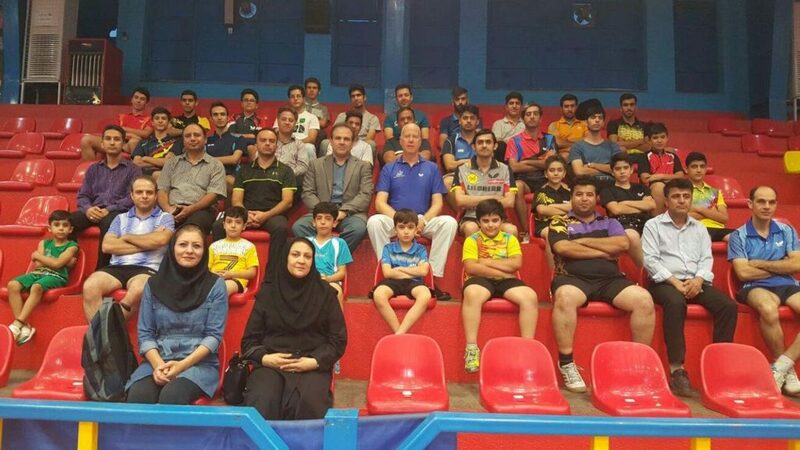 A total of 120 boys participated in a qualification tournament to select the best 10 hopes from across Iran, and six best hopes from host city Esfahan for a week of training, education and competition following the ITTF Hopes Model. 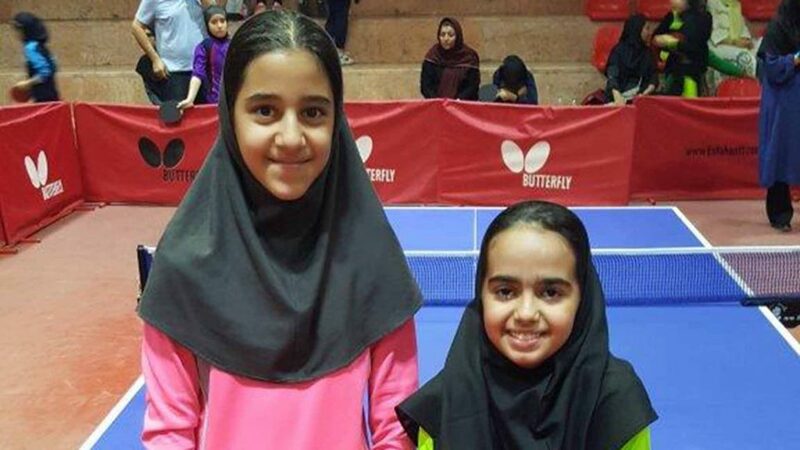 Meanwhile the qualification tournament for National Hopes Week for Girls was also held during the stay in Esfahan with 90 girls participating for the 16 available places. Meetings with Dr. Mohammad Soltan Hosseini, Sports and Youth General Director of Isfahan Province, were also held to discuss means of co-operation. Iran, a country to watch in the coming years!